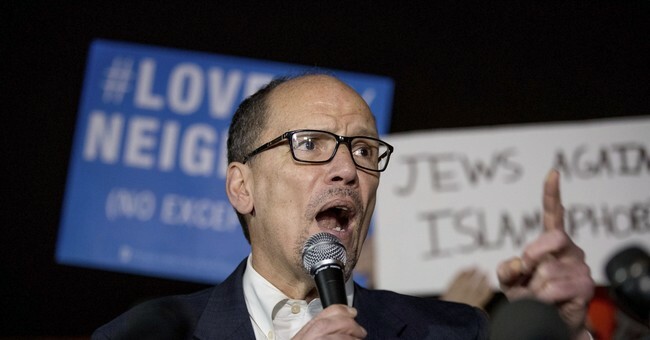 Democratic National Committee Chair Tom Perez lamented the influence churches have on voters, which makes it more difficult for Democrats’ message to “penetrate” because Christian voters “buy” what they hear. “And we all have to make sure that we’re fluent in what’s happening across our ecosystem so we can come to each other’s defense because we need to build a bigger orchestra. They’ve had a big orchestra for some time and they’ve got the megaphones to amplify it, whether it’s Sinclair at the local level or Fox at the national level,” Perez during a Demand Justice event Wednesday. “It should come as a surprise to no-one that that person has elevated the issue of courts to the top because that person on the pulpit is saying ‘ignore everything else that this person has done and is doing, we have to focus on one issue of Roe vs. Wade.’ And people buy it. Because that’s their only source,” he said.